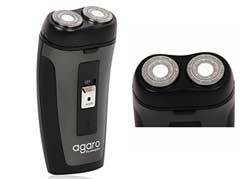 AskMeBazaar is offering lowest price offer for Agaro AG-DS-581 Quick Shaver 2 Head Rotatory Black at just Rs. 594. So you can get 33% Off with 15% extra discount using coupon code “BA15” get it now. Actual price of this shaver is Rs. 1045 but you can get this at just Rs. 594 using below mention coupon code. It comes with self-sharpening blades, rechargeable, lift and cut technique, 2W power, Protection cap, 2 flexi head rotatory shaver and many more. To get this offer at AskMeBazaar, please follow the below given steps.